I would not have survived the last few years without my girlfriends, I barely survived with them. There is something totally unique about the relationships that women have with their girlfriends. Most of the time the men in our lives don’t understand and are at times jealous of the relationships. Zed was not one of those men, he laughed at how crazy we were, encouraged the road trips and picked us up when we couldn’t drive. I miss that supportive love and understanding he gave to me. This weekend to celebrate Cinco de Mayo (not really, it’s just an excuse), five of my dear friends, Pearl, Violet, Ruby, Saffron and Jade will be hitting the road to Charlotte. There is something so great about a road trip. It’s not like we don’t spend time together every week but being in a different city and leaving behind all of your responsibilities is so freeing. 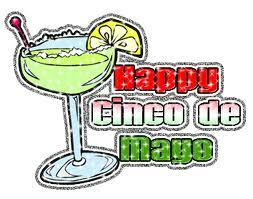 We will be shopping, laughing, dancing, eating, drinking margaritas and well….other stuff too! Just NO tears or flying drinks. It should be fun and we all need it in our own way. Each of us have our own stories and are at different points in our lives. However, we all need the same thing; we need to be supported when life is stressful, when we feel lonely, when marriage is difficult or when family issues make us sad. We are also cheerleaders for all the great moments too. Just wish Ms. Blush could be with us too…I miss you so much! I always feel like sombody’s watching me…. Illusions Hair Studio The best damn hair salon in Charleston.